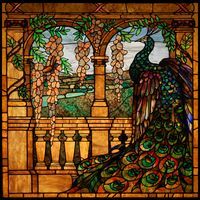 A beautifully colored peacock sits on a balustrade of an old world veranda, looking out upon a beautiful hilly landscape. 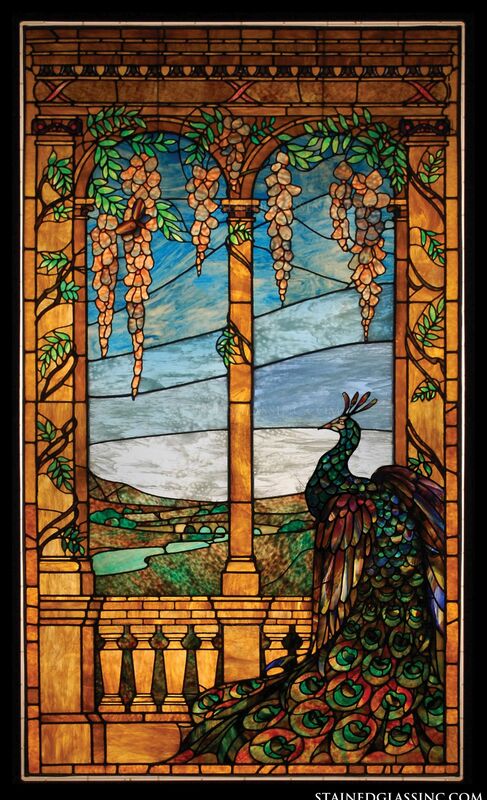 A row of wisteria hangs above the majestic bird and vines wrap around columns to add a floral touch to the design. 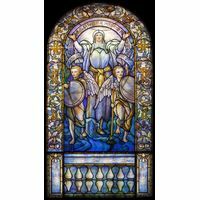 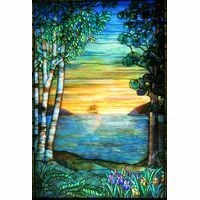 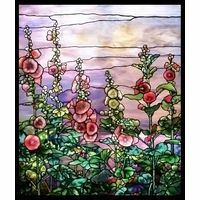 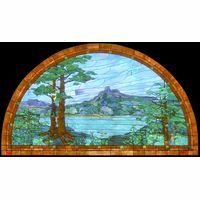 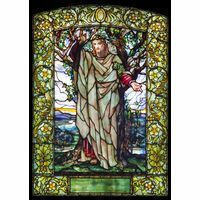 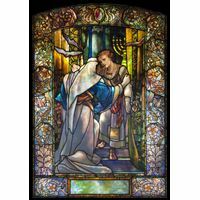 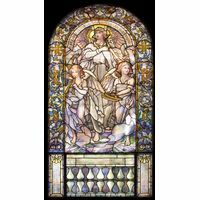 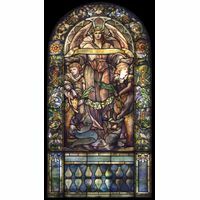 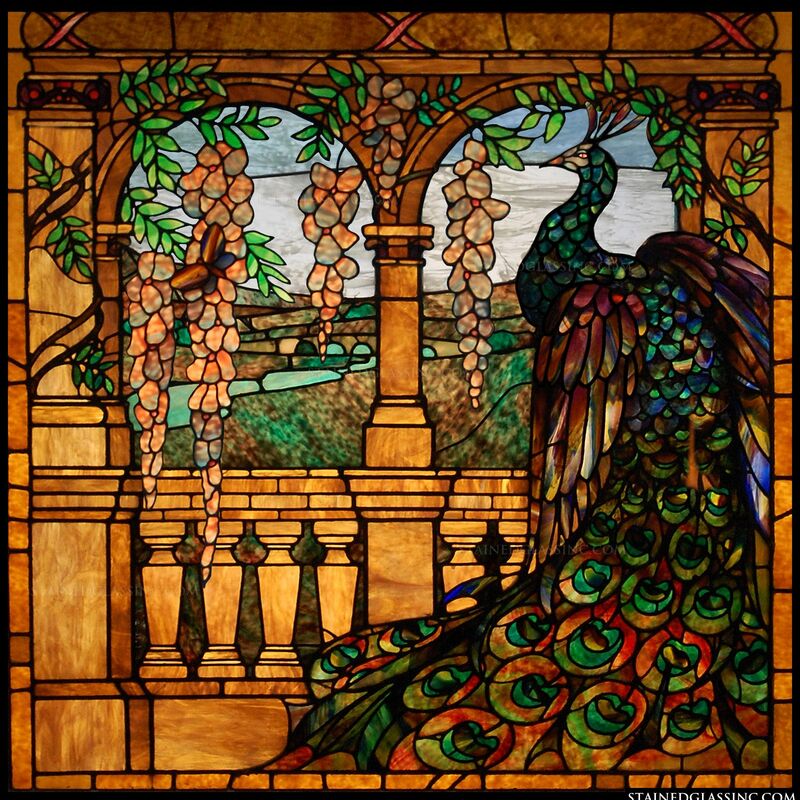 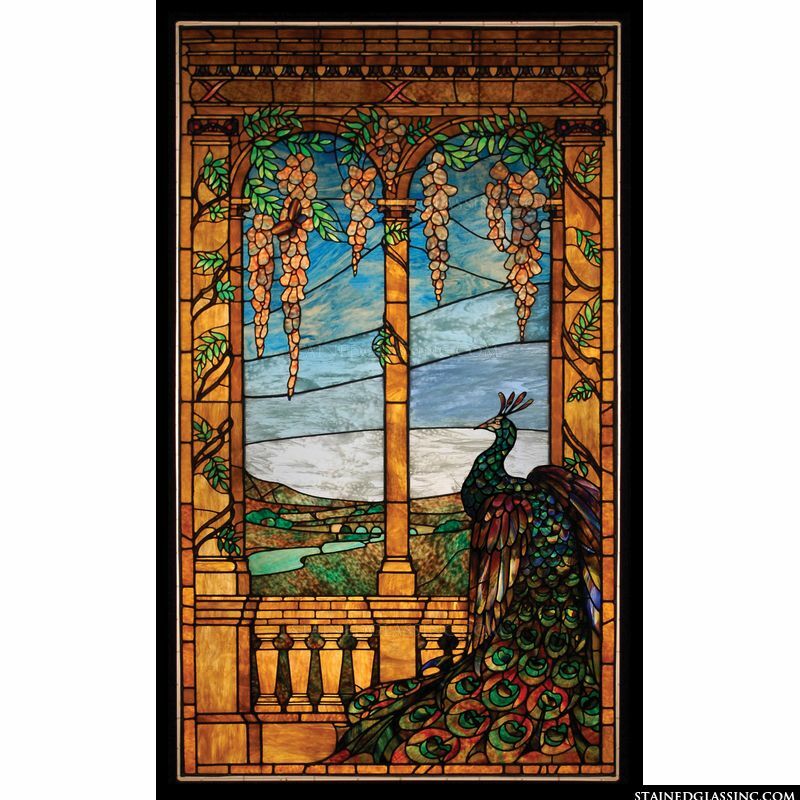 Display this impressive work of stained glass art in your home or business and inspire awe for generations to come.